Five storey office building comprising of two wings. A permanently manned reception with two well equipped rooms as well as a seating area with plasma screen TV. Adjacent the reception is a continental style café and also substantial parking is available. Situated within a parkland setting with a wild fowl lake at the entrance. The area has a comprehensive selection of supermarkets, shops and convenience stores within easy reach. This charming Grade II listed building is home to this impressive business centre that has 50 offices available ranging from two-person to six-person offices. It is close to public transport including Metro's and local bus services and has three well equipped meeting rooms while the offices are furnished to a high standard. The space combines a comprehensive list of amenities with a convenient location all at an affordable price. This property benefits from a strategic position, approximately 7 miles East of Newcastle city centre. 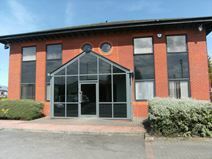 Close to several restaurants and a cinema, this property comprises a purpose-built office with car parking. Predominately open-plan space, with suspended ceilings and raised floors. Located between Silverlink Retail Park and Cobalt Business Park and around six miles from Newcastle City Centre, this business park provides nine individual office buildings. 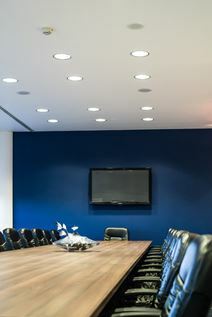 The majority of offices are self-contained and have been recently refurbished to a high standard. This listing offers modern and well designed serviced office suites in a range of sizes. The high spec office suites can accommodate anything between 2 to 200 people. The fully furnished offices have a wealth of amenities, this includes air conditioning, on-site car parking, conference facilities and spacious meeting rooms. Situated on the Silverlink Business Park, this office space has fantastic transport connections and a huge variety of shops, restaurants and leisure activities. These Newcastle offices are situated close to a number of shops and cafés. These are brand new offices fitted out to a very high standard and available for immediate occupation. Excellent transport links abound, including local Tyne & Wear Metro connections and bus services. Newcastle City Centre can be reached easily, and offers an abundance of bars and restaurants, as well as great shopping options.